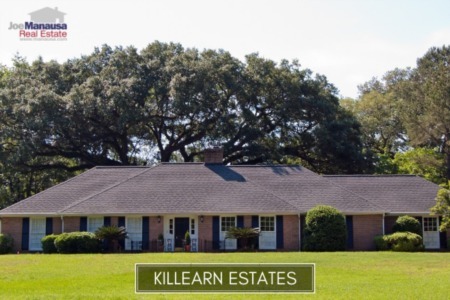 Royal Oaks is a popular Northeast Tallahassee neighborhood sandwiched between Killearn Estates to its east and Thomasville Road to its west. 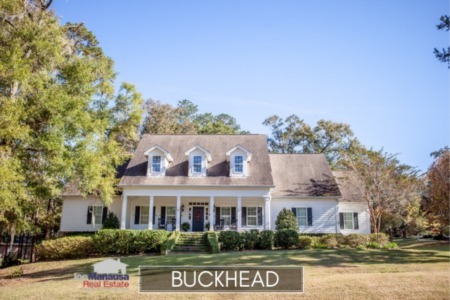 Featuring more than 200 three and four bedroom homes priced within 20% of the median single-family detached home price in Tallahassee, buyers come here to gain access to A-rated schools and homes that are irreplaceable at their current prices. This Royal Oaks home sales report examines long-term trends of home prices, home values, and home sizes in Royal Oaks, and displays all homes sold going back to 1991. It is important to note that the narrative contained below is for sales through December for all previous years, but through the 28th of January in 2019. The graphs and the closed sales table will be continuously updated into the future (meaning bookmark this page if you always want to know the current status of homes in Royal Oaks). The average price of a home sold in Royal Oaks in 2018 was $272,556, which is a new record high average for a year, exceeding the previous peak of 271,025 that was recorded in 2007. Activity in Royal Oaks or robust as there are far more buyers than sellers wanting to consummate a home sale here. Properly marketed homes are selling immediately. 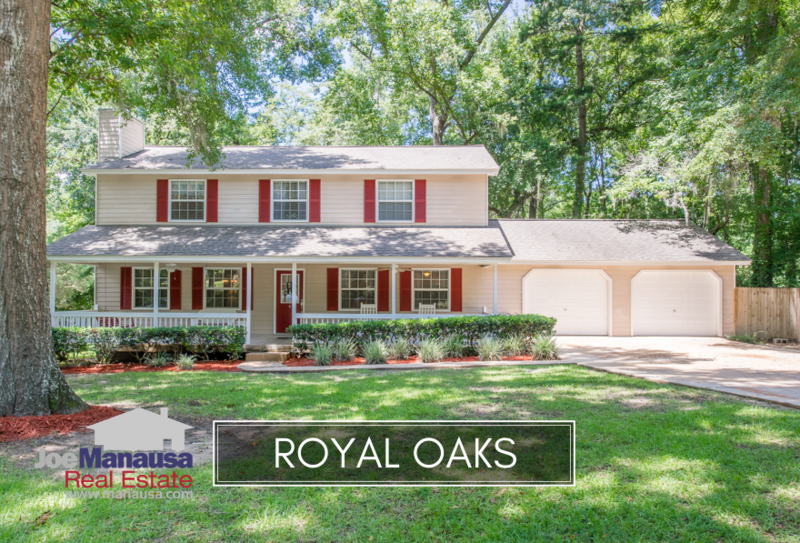 Currently, there is just one home for sale in Royal Oaks. Average home values in Royal Oaks in 2018 tied the record high set back in 2008. Not many neighborhoods have fully recovered their values lost in the market crash, so Royal Oaks is a leader in the clubhouse! The nine homes sold in Royal Oaks in 2018 averaged $133 per square foot, a very strong increase of 9% for the year. The average home size sold in Royal Oaks typically falls in a range of 1,800 to 2,100 square feet, and 2018 was no different. The 9 homes sold in 2018 was a whopping 2,069 square feet. The following list shows more than 400 home sales in Royal Oaks going back to 1991. This concludes our January 2019 update on home sales in Royal Oaks, please give us a call at (850) 366-8917 or drop us a note if you have questions not covered in this report. Are you planning a move? Here's what people are saying about working with Joe Manausa Real Estate, you can see hundreds of real customer reviews reported on Google, Facebook and Zillow right here: http://www.manausa.com/testimonials.